Can I just say that I am beyond thrilled that Fall is officially here?! The crisp autumn air, the leaves changing colors and the warm Fall spicy scents…I LOVE IT ALL!!! So this past weekend I decided to dust off all of my Fall Decor from last year + go out and buy a whole bunch of new stuff. 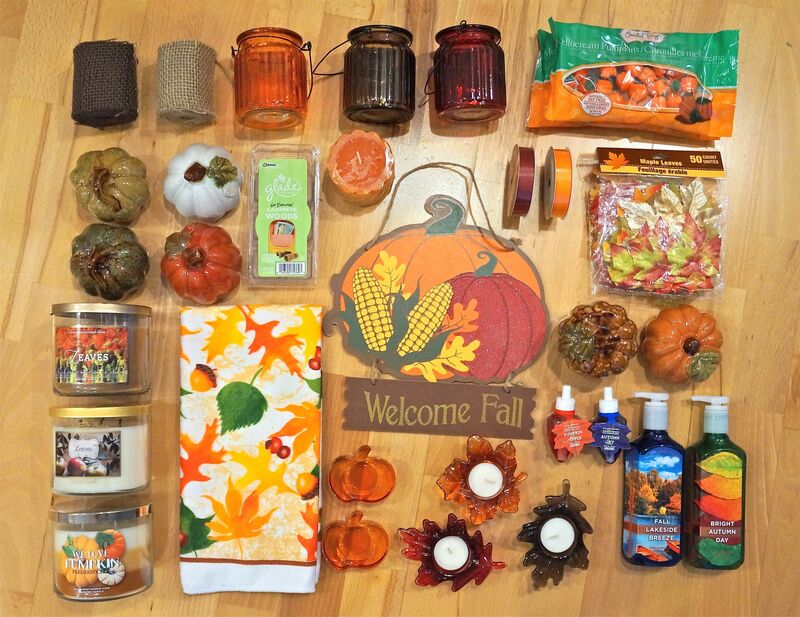 Check out my total Fall Decor Haul below! So far, things in my place have been smelling amazing due to these 3 yummy smelling candles that I got from Bath and Body works…and who doesn’t pumpkin candy corn!?! No joke, I already ate like 1/4 of the bag! So raise your Pumpkin Spice Latte’s and let’s all give a little warm cheers to Welcoming the Fall Season! Previous Previous post: Doing My Best To Avoid Ugly Age Spots! Next Next post: Sweet Perfumes!